These rolls of Conservation Tape usually retail at 40% higher than this. But we can supply them to you for much less. 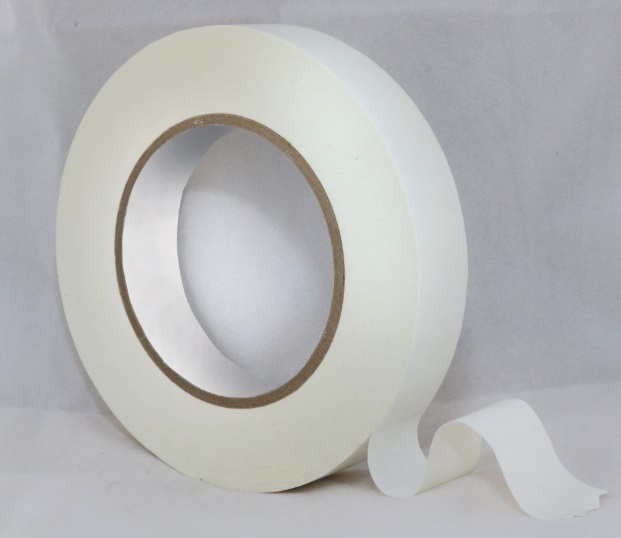 High quality white ACID FREE conservation paper tape for adhering your artwork to mounts. For use when hinging art, hinging mounts, lining frame rebates and frame sealing. We recommend this and only this for anyone who is serious about fitting there artwork to mounts or their mounts to frames. Dimensions : 24mm wide and 50M in length. Generally the best temperature for bonding adhesive tapes is between +15°C and +30°C. Low temperature application is possible for modified adhesive systems, but there may be a compromise on the ultimate bond strength. The surface of the parts must be clean, dry and free of moisture and condensation. The surfaces must also be free of oil, fat, dust and other contaminants. Porous surfaces can be primed to ensure a uniform, stable surface. The cleaning of the surfaces has to be done with clean cloths together with suitable solvents like alcohol or ethers, to remove dust and oil. For release agents and other contaminants you can use the following solvents: isopropanolwater mixture 50:50, heptane, ethanol, acetone, MEK or other suitable solvents that do not attack the substrate to be bonded. The selected solvent must be checked thoroughly before being used and the safe use of solvents must always be taken into consideration. Firmer adhesive classes (such as pure acrylics) require more initial application pressure than soft ones. The full bonding power of hard adhesives is attained between 24 & 72 hours, depending upon the substrates, application pressure and the application environment.